A psychological thriller that demonstrates some promise, Mirage proceeds to overcomplicate itself to the point of silliness. The meek resolution, when it arrives, buckles and snaps under the weight of lofty expectations. As he evacuates a New York high-rise during a power outage, David Stillwell meets the mysterious Shela (Diane Baker). She seems to know him but he does no know who she is. Indeed, David is severely disoriented. On the same day, noted humanitarian and global peace activist Charles Calvin (Walter Abel) appears to jump to his death from the same high-rise in an unexplained suicide. 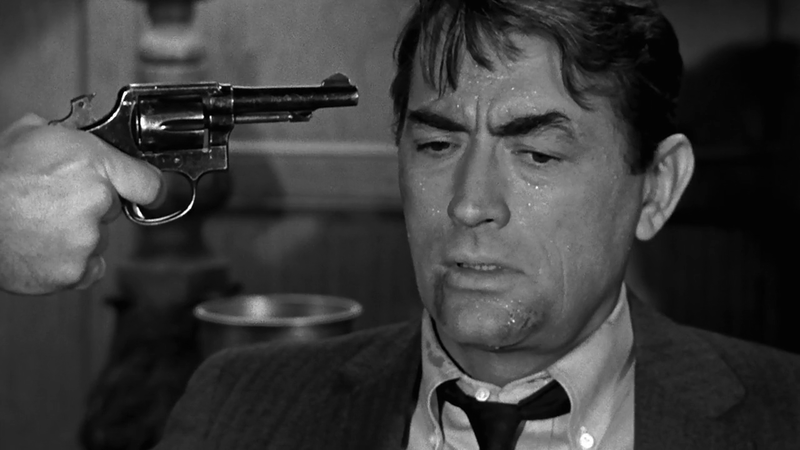 After encountering two threatening goons named Lester and Willard (Jack Weston and George Kennedy), who refer to a man known only as The Major, David visits psychiatrist Dr. Broden (Robert H. Harris) for help, and begins to realize that he is suffering from severe memory loss, with possibly the last two years of his life now a blank. With Shela drifting in and out of his days, seemingly either trying to help or trap him, David finds himself on the run, and hires wise-cracking private detective Caselle (Walter Matthau) to try and piece his life back together again. Beware thrillers built on the fragile premise of memory loss. Mirage attempts to overcome one of the weakest of plot devices by layering on mysterious events, interesting characters and some action, but ultimately the film disappoints. The complexity loops back onto itself and demands an exceptional explanation. Instead, the screenplay by Peter Stone and Howard Fast can only deliver a flimsy struggle over a most unconvincing MacGuffin, a literally paper-thin climax that crumples into a small ball of overwhelming disappointment. Worse still, the resolution undermines plenty of what went on before in the movie. While the bedraggled final 20 minutes cause a lot of damage, Mirage is not a total loss. Under director Edward Dmytryk's steady hands, and making full use of Joseph MacDonald's slick black and white cinematography, the film offers up a dense enigma, with plenty of hard boiled crime elements, including goons full of guns, a lady full of lies and lust, and a droll detective full of dry discernment. David does not know what is going on or who these people are, but with no memory of anything better to do, he plays along, avoiding the bad guys and seeking help where it can be found, as he tries to assemble the scattered puzzle of his life. It's all a bit of Hitchcock meeting Sam Spade's world, and it only starts to fall apart when the cake caves in with too much dark cream. 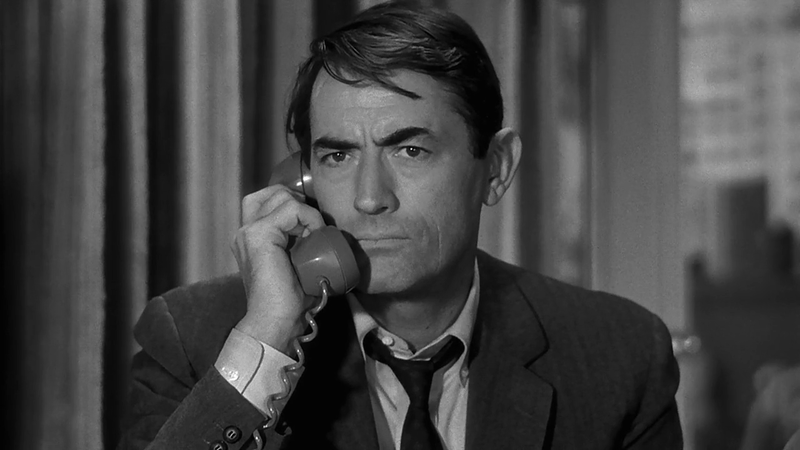 Gregory Peck cruises through Mirage with a pre-set I'm Determined To Get To The Bottom Of This expression, and he is less than convincing on the few occasions when he loses his temper or has to get physical. 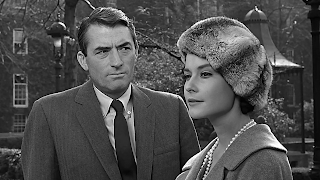 Diane Baker flutters in and out of the movie at the whim of the script, the character of Shela being the most intriguing role, except that she remains intriguing well past the time when mystery should have been replaced by cohesion. Walter Matthau and Robert H. Harris chew their roles with a conviction that hints at unintended comedy, as they both creep over a line into a whole other movie. Harris' Dr. Broden auditions for a Carry On Psychiatry farce, while Matthau's detective Caselle wisecracks his way out of incompetence and into Cousin of the Pink Panther. Mirage shimmers in the imagination: a thriller which could quench the thirst for top class entertainment, but it disappears into the sand just when the anticipation peaks.